The festive season has started and there will be guests coming over and we will get invited,too. 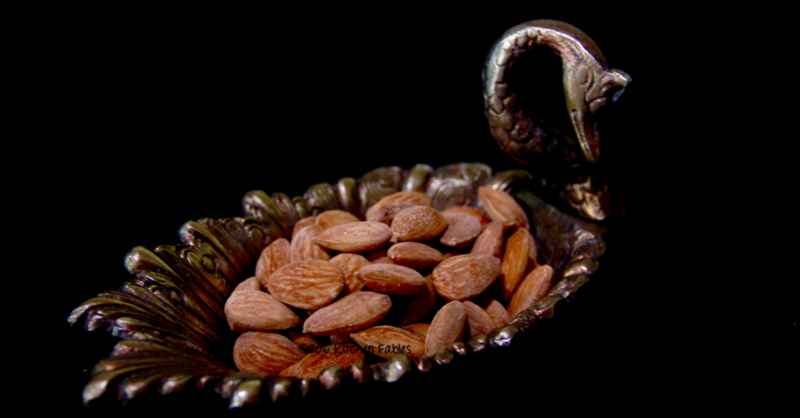 Roasted Salted Almonds is a healthy snack option that you can serve to your guests and also a great gifting idea. Nowadays people dont prefer eating sweets and therefore Nuts is a preferred gifting option. 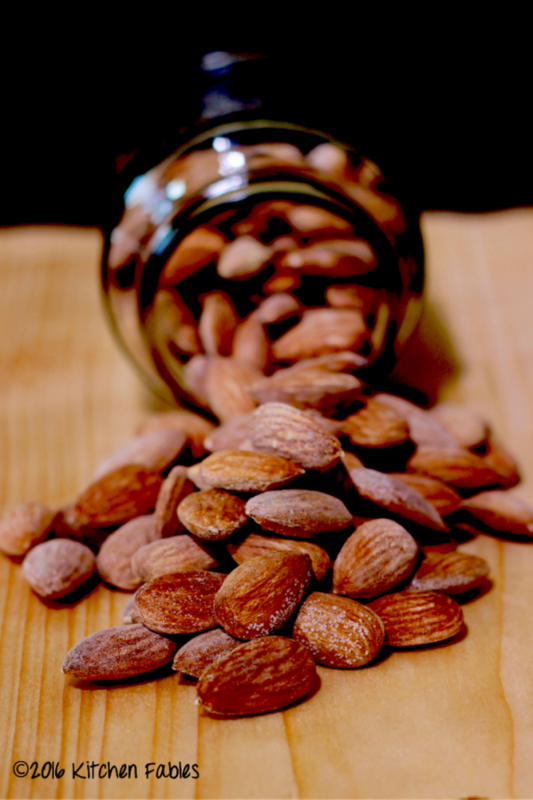 Now if the same plain almond can be modified into roasted salted almonds, which are tastier and do not compromise on the health benefits of Almonds, then why not ? 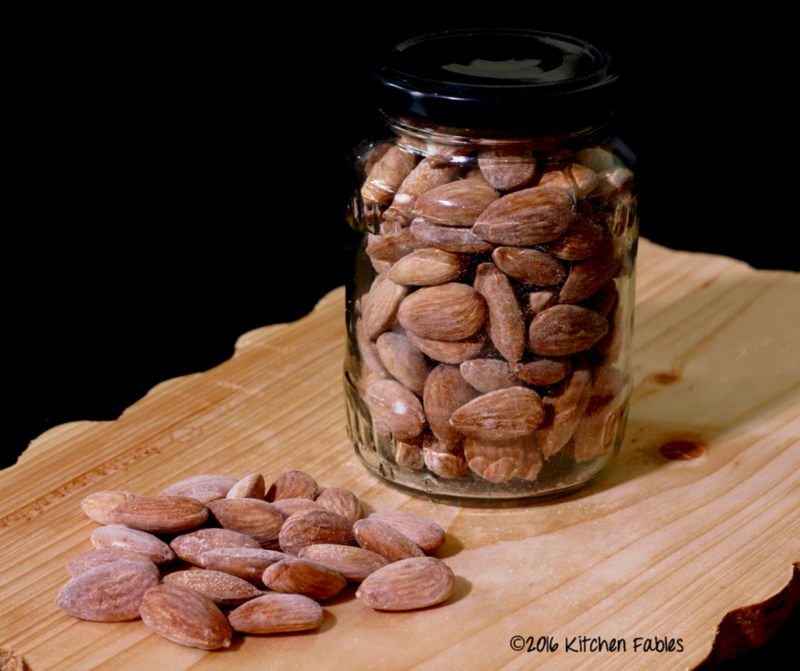 My daughter and husband do not eat soaked almonds or raw almonds, however they love roasted salted almonds. 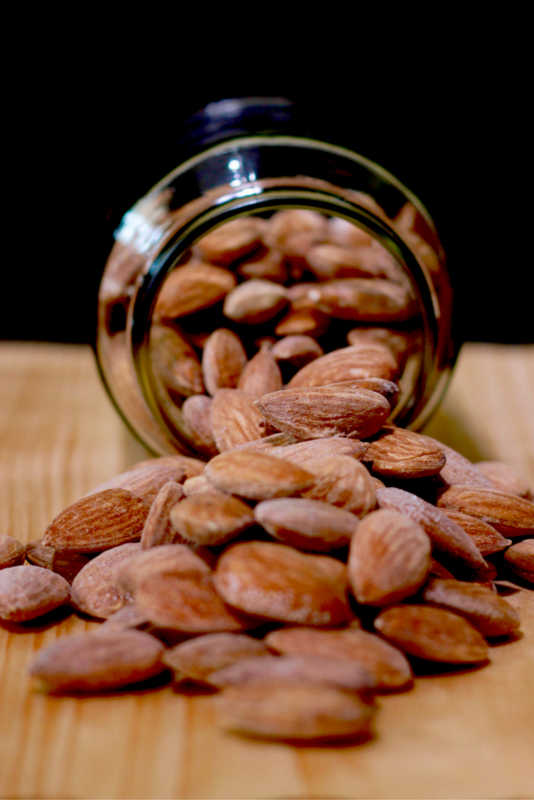 The Roasted almonds in the market are almost three times the cost of raw almonds. Most of that is just the cost of packaging and processing. However, making roasted salted almonds is very easy and tastes exactly like store bought salted almonds. Almonds are known for their nutrition value and are a good source of Dietary fibre , Vitamin E, Manganese, Magnesium & Antioxidants. Almonds, help manage cravings and hunger and therefore aid in weight loss. When going out for shopping or even at my workplace, I keep a small box of almonds in my bag, so that if there is a delay in the meal, I can snack on them. 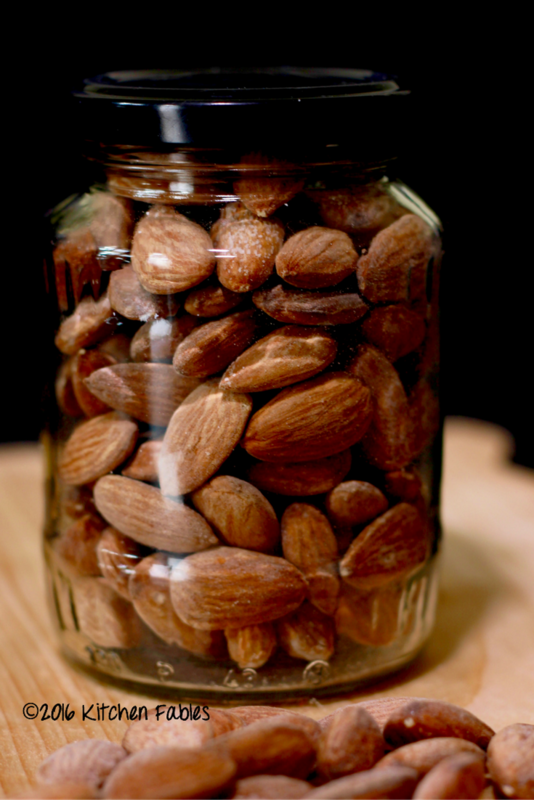 This Almond recipe is fairly simple and easy. 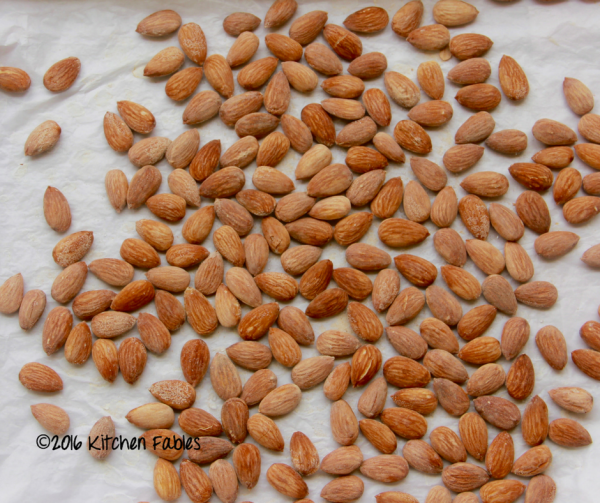 You will be surprised how similar the home made roasted salted almonds are to the store bought ones. 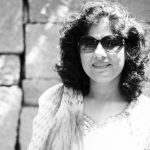 In India we will soon have Navratri and in some parts of the country many of us will be fasting. If you are fasting and are on a restricted diet you can use Rock Salt. 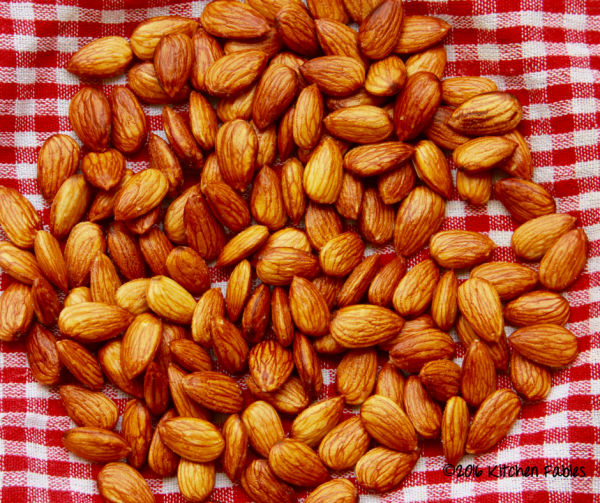 This festive season instead of spending huge money on ready to eat snacks, make roasted salted almonds at home and surprise your friends and family. Boil Water in a pot and add Salt. 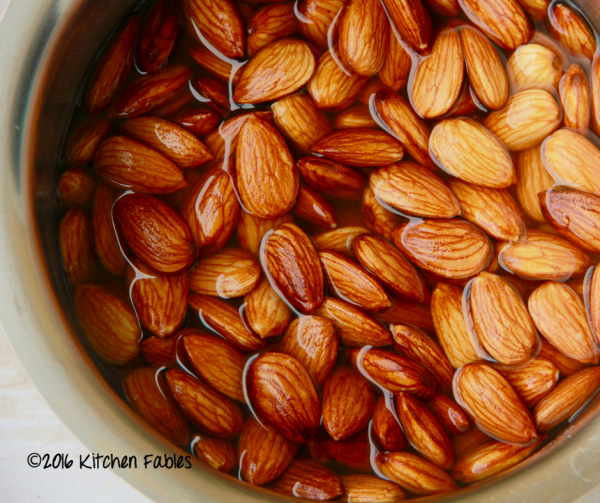 When the salt dissolves, switch off the flame and soak almonds for 20 minutes. After 20 minutes drain the water through a strainer. 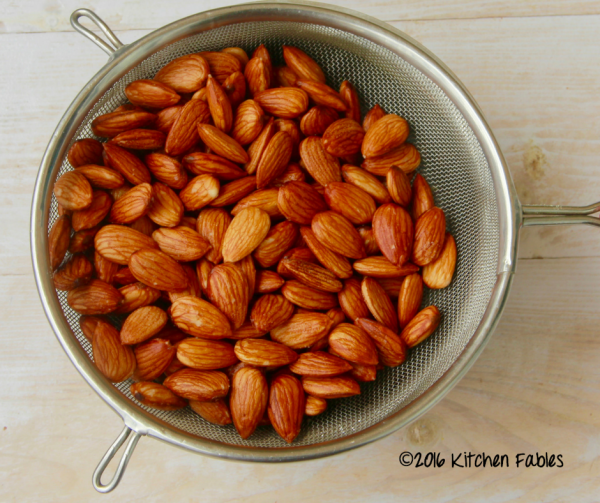 Leave the almonds in strainer for 5 minutes to drain all the excess water. Put the almonds on a kitchen towel to dry. Shift the almonds on a baking tray lined with butter paper. Spread the almonds on tray. Put the tray in the oven and after every 5 minutes take out the tray and stir the almonds. Bake for 15 to 20 minutes. ALmonds when hot will not be crunchy, they are done when the inside of the almond starts turning pink. Let the almonds cool before shifting them to an air tight bottle. 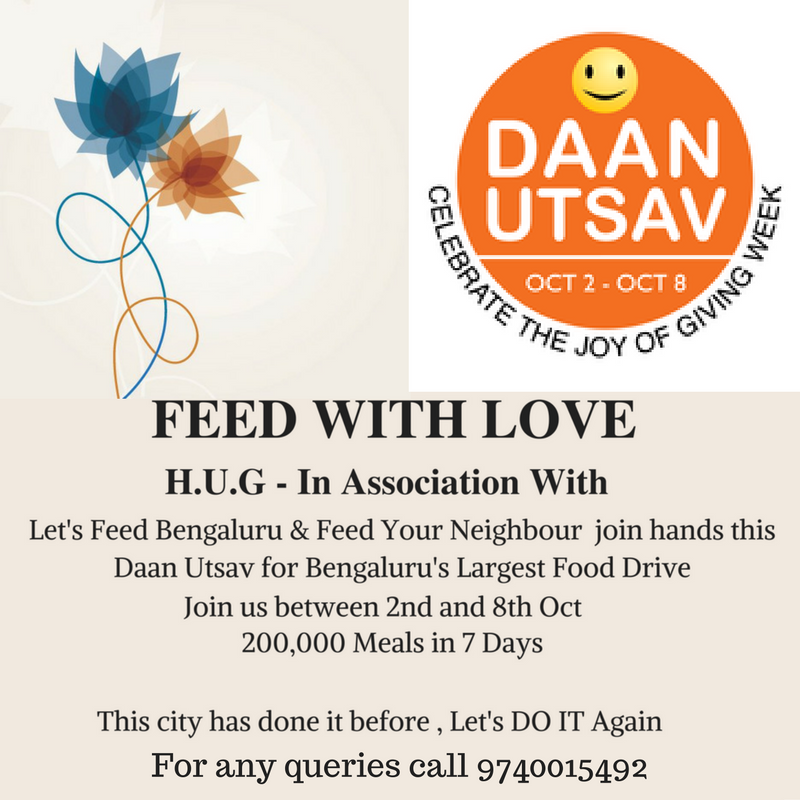 I actively participate in a Citizen movement Group of Bengaluru Called H.U.G- Humane Universal Good Deed Network. Our next activity is to serve food to underprivileged from October 2nd, 2016 to October 8th, 2016. Please Join the Group and stay tuned. This is a great tasting, easy-to-make snack! Thanks Arun !! A big hit with my husband and daughter !! never know they need to be soaked before roasting. I toss them in a little oil, salt and any other spices and bake them straight. How does the soaking help? Hi Nandita, there are two reasons : 1. 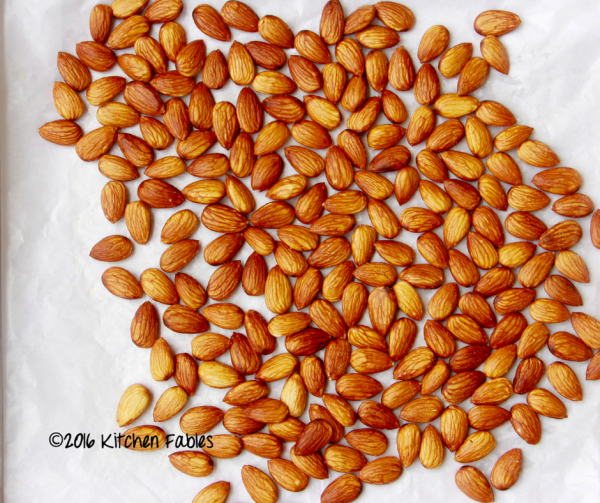 Soaking almonds helps absorb salt and 2. Also soaked nuts are easy to digest. @paluk – thanks, surely will try 🙂 I love salted almonds.